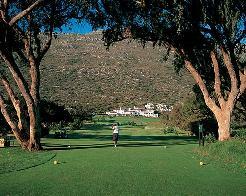 Mowbray Golf Course is situated approximately 10 minutes from Cape Town city centre, and was established in 1910. 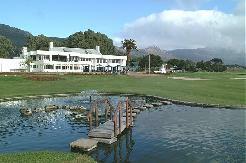 The club is recognised as being an excellent test of golf with all major amateur championships having been played here. 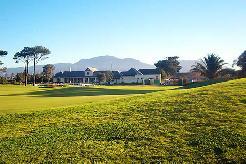 Mowbray has hosted the SA Open seven times and the Bells Cup three times. 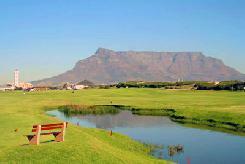 A parkland course, which provides an excellent test of golf, the terrain is flat but plenty of trees and water features make for an interesting experience, with the beauty of the mountain and abundant wild life dominating the scenery. A significant feature of any coastal course is, of course, the wind. 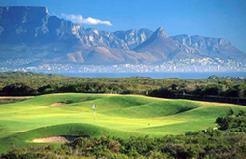 This is where Mowbray is unique, in that the holes have been so laid out that you will seldom find yourself with the wind directly in your face or right at your back. Both fairways and greens remain soft throughout the year. The fairways consist predominantly of kikuyu grass while the greens are a mixture of fine grasses which provide an excellent putting surface. Experiments with pure bent grass have not been successful, so the indigenous grasses are now being "managed", with more than satisfactory results. 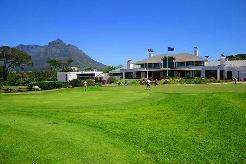 While the course is not particularly long it is tight requiring astute club selection and the visiting golfer will find Mowbray a real challenge. It is generally accepted that the S A Golf Union ratings of 71 from the back tees and 69 from the front make it about 2 or 3 strokes more difficult than average. Don't let this put you off, however. If you hit the ball straight, you'll do well and even if you go off line here and there, the rough is very forgiving and is kept well trimmed. 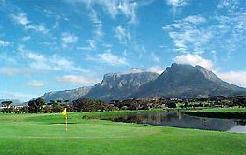 Signature Hole: With the imposing Devils Peak as your aiming point off the tee, the 15th is a tough par-4 with a narrow fairway lined by pine trees. After a strong drive you will need a mid iron into a large green protected by a bunker on the left. Course Design: S V Hotchkin (1929), revised by Bob Grimsdell (1954).